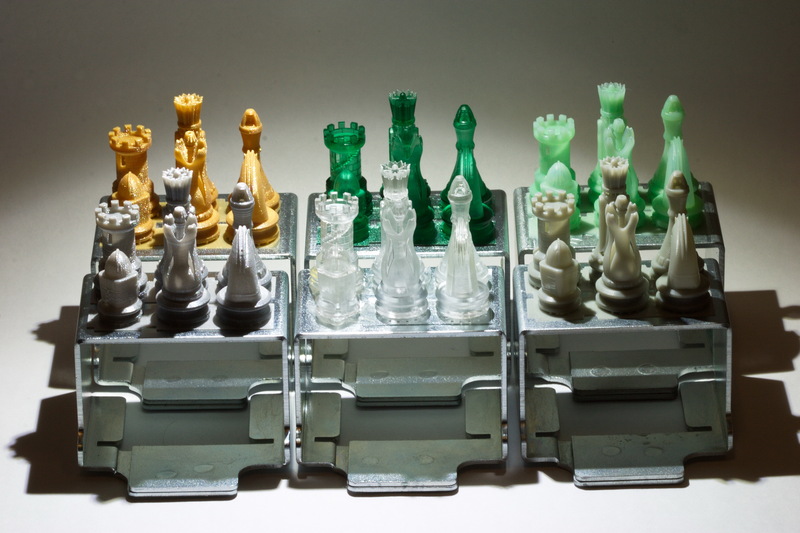 3D Systems has announced the expansion of its ProJet® 1200 suite with the arrival of five new materials engineered specifically for the desktop printing capabilities of its micro-SLA 3D printer. These five new materials join the previously introduced VisiJet® FTX Green material, expanding the capabilities of jewelers, dental labs, manufacturers, engineers, and 3D artists in the creation of casting patterns, small end-use parts, figurines and presentation models. The expanded VisiJet FTX material range will be available in December 2014 and will be on display at EuroMold 2014 in Frankfurt, Germany from November 25-28, 2014, at the Messe Frankfurt in booths D69 and F90 in hall 11, along with 3DS’ latest 3D printers, advanced material options, cloud-sourced custom parts and digital thread of 3D capture, creation, print and inspection tools. 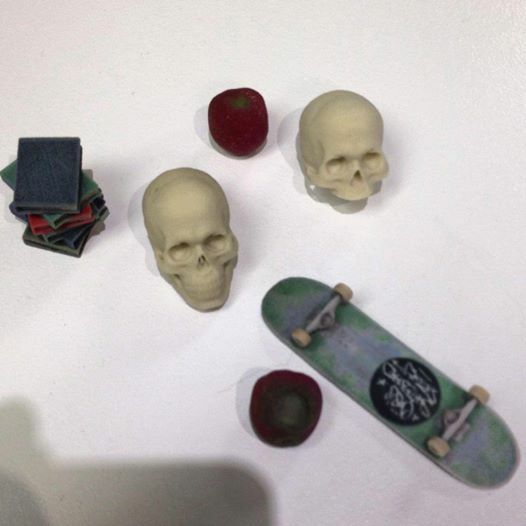 Over the past couple months, Objex Unlimited 3D Printing Studio, along with Sculptraits Studios, had the opportunity to assist the talented and creative students of Oasis Skateboard Factory with a final graduation project they had been working on. Come check out some of the amazing creations these students have come with! 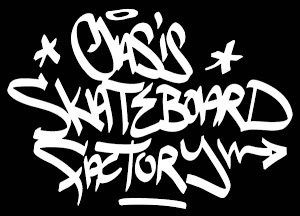 The name of the event is “The Youth are Revolting” and will be hosted by OASIS SKATEBOARD FACTORY POP-UP SHOP. Join us this Friday, January 23rd 2015, at 7:00pm EST for this Toronto Offsite Design Festival (TODO) Event. The celebraton will run until 10:00pm EST. The event is located at Anomaly, 46 Spadina Ave. Suite #200, Toronto, ON. Sculptraits took care of the 3D Scanning, utilizing their proprietary, state-of-the-art scanning technologies. Each student was given the opportunity to get scanned at Sculptraits Studios, and the 3D Scan data was then passed on to 3D designers for further processing and digital manipulation. Objex Unlimited then printed the manipulated designs on a Full-Colour Gypsem Printer. The end result is perfectly revolting… in the coolest way possible! We don’t want to give away too much, so you’ll just have to come to the event to see the final product, and to congratulate these students for their hard work over the school semester! Each and every day, we get closer and closer to a fully interactive, fully immersive 3D virtual reality. From the Oculus rift, to google glass, we want to interact and feel part of our digital world. 3D Systems has released another tool that brings us one step closer to a fully interactive desktop. 3D Systems announced today the immediate availability of its TouchTM haptic 3D stylus along with an OpenHaptics Software Developer Kit (SDK) for digital design and virtual gaming. Priced at $599, Touch comes with Cubify® Sculpt™, a powerful virtual sculpting software tool that transforms 3D modeling from a complex, skills-centric design experience to a simple, experiential sculpting delight for artists, students, designers and hobbyists. Developers can register to use the Touch SDK on 3DS’ newDeveloper’s Portal. “We are absolutely thrilled to introduce our new Touch haptic 3D stylus, a powerful and affordable perceptual tool for the benefit of all gamers, artist and designers,” said Peter Theran, Vice President Global Consumer Products, 3DS. 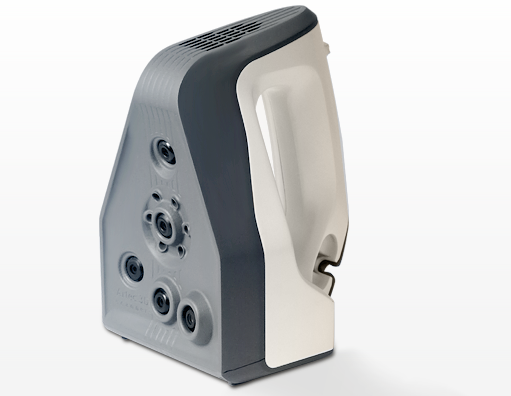 There is no denying the power and ease-of-use of the Artec 3D scanners. In fact, as we mentioned in an earlier post, the similar Artec Eva scanner (designed for slightly larger objects) was actually named the best 3D Scanner under $50,000. So when you have a product that already works great with a human operating it, imagine what happens when a robot learns how to use the scanner, and respond in real time to the feedback it’s getting? The guys at Artec Group, along with engineers from the Visual Computing Research Center, Tel-Aviv University, the Memorial University of Newfoundland, the University of Konstanz, and Shandong University, asked the same question. They combined the Artec Spider with the PR2, a robot boasting a humanistic look and sense of movement. The PR2 holds the Artec in its ‘hand’ and puts it to use, rapidly scanning the most detailed and ornate objects from every angle. The double system captures 7.5 frames per second and processes 1 million points per second, meaning it gets the job done more expediently than a laser printer, and requires no post-processing. Because this project is focused on objects that are small, can fit into a hand, and have a high level of detail, the Artec Spider is the perfect tool for the job. The Spider was designed specifically for CAD users and perfect for reverse engineering, product design, quality control and mass production. It requires no calibration, no markers and offers real time scan alignment. It also boasts super high detail of fine objects and excellent texture capture. Although the Artec Scanners are very user friendly, it is extremely interesting to see how the object is scanned when the user, the PR2 robot, get’s direct feedback. Where a human would have to figure out what angles of the scan they are missing, the robot has a more instantaneous response to what part of the object’s texture and geometry are missing. And it’s great to see more and more ways we can apply the amazing scanning technology behind the Artec series of 3D scanners. Looks like 3D Systems has a brand new consumer 3D Printer to add to their Cube line up. On January 15, at the 2015 Consumer Electronics Show (CES), 3D Systems announced that it acquired U.K. based 3D printer maker botObjects and plans to launch the CubePro® C, a new desktop full-color 3D printer powered by botObjects’ technology. 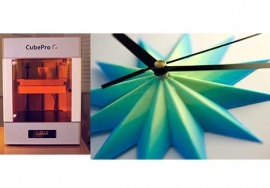 With the announcement of the ProDesk3D printer last year, botObjects pioneered the first 3D desktop printer using PlasticJet Printing (PJP) that offers true full-color 3D printing, significantly expanding the palette of possibilities for what designers, artists and engineers create, from prototypes to products. botObjects also invented a proprietary 5-color CMYKW cartridge system, capable of mixing primary printing colors on the fly to generate vibrant color combinations and gradient transitions. However, the ProDesk3D underwent delays, and rumours are the company had trouble meeting the huge demand for pre-orders for this amazing printer. 3D Systems’ acquisition will finally let the Printer see the light of day. 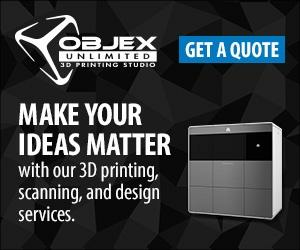 Be sure to check back with us here at Objex Unlimited when we give our full review of the new 3D Systems Cube C Printer. Here is a video of the original ProDesk3D in action.